I first heard rumblings about Matt Dillon (Sitka & Spruce, Corson Building) opening a bakery in Pioneer Square last spring. It was just rumor then, a word dropped by a friend we have in common. Sometimes food-world friends spill the beans on things. But I kept quiet, as Dillon hadn't finalized leases yet, and didn't want to comment. There was no keeping quiet, though, about the outstanding loaves of bread that Dillon's esteemed baking team (which we splashed across our Tastemakers pages in last month's Best New Restaurants issue) turn out via the ovens at Corson Building. Those loaves, which sell at Bar Ferd'nand and Sitka & Spruce inside the Melrose Market, were becoming the talk of the food crowd. Last summer, the bread was good enough to earn acclaim from the LA Times' S. Irene Virbila. Have you tasted the bread? My food-obsessed friends would ask, panting. Oh yes, yes I have. The ovens at Corson were never meant to serve as bread ovens, though, yet the demand for the breads and pastries (including yeasty croissants I fawned over here) continued to grow. A Matt Dillon-owned bakery seemed inevitable. And as Leslie Kelly wrote about earlier this month, Dillon's opening that bakery, London Plane, inside a Melrose Market-like mixed-use space in springtime. There'll also be a flower shop owned by Dillon's partner in the large space, Katherine Anderson of Marigold & Mint, as well as a wine bar ala Bar Ferd'nand, plus a private dining area. The name, London Plane, was inspired by a type of Sycamore tree in Pioneer Square. 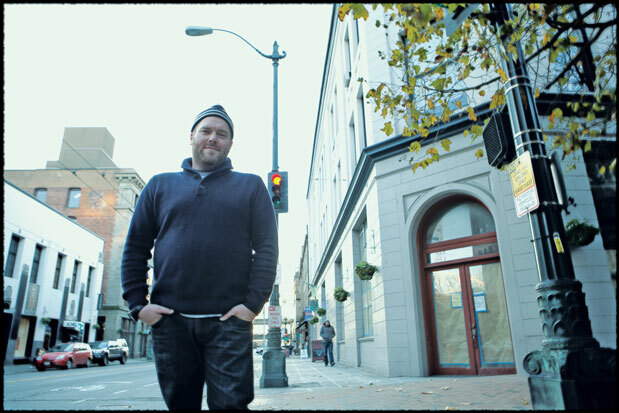 Turns out that Dillon, who won the James Beard Award for Best Chef Northwest this year, will be opening another restaurant first. He'll continue his lovely use of wood smoke to scent his food (one of the trends you'll be seeing a lot more of in the coming years) at Bar Sajor, the lunch-focused spot he named for his mother. There, all of the food will be cooked over a wood grill or in the wood-fired oven. If you're a fan of Sitka's lunch program, you'll notice similarities to the food to be served at Bar Sajor when it opens in January: flatbreads and meats cooked in the wood oven, fermented and pickled vegetables, homemade yogurts and ancient grains, smoked fishes. Wine, hard cider and cocktails will also be offered. But after years--a decade?--of near deafening silence on the Pioneer Square restaurant front, what, exactly, is all this new excitement about? Could it be that Dillon and Easton are getting in before the Stadium Place project is finished, bringing 738 new apartments and condos to the area in 2013? Will Dillon's influence draw other Seattle restaurateurs to the area, as Tom Douglas's strong commitment to South Lake Union did a couple of years ago? There's no denying the sea change the neighborhood will go through when the viaduct finally comes down and the waterfront gets a facelift, becoming (let's hope!) a point of pride for locals instead of just a dated tourist strip. 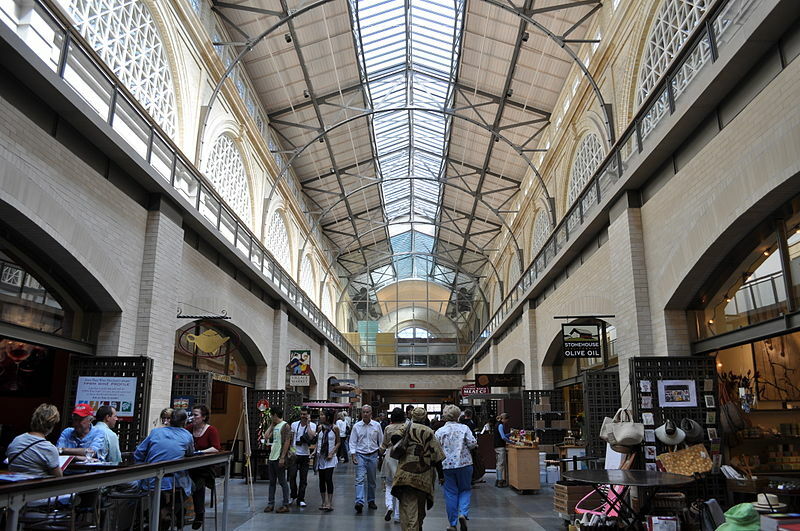 (I have dreams of San Francisco's Ferry Building, shown below, home to a vibrant Farmers Market and an impressive group of specialty food shops and florists, dancing through my head, and I know I can't be alone.) Has what Knute Berger termed the "vertical land rush" along Seattle's waterfront already begun in neighboring Pioneer Square? As the waterfront is reimagined and gentrification begins affecting the neighborhoods in close proximity, national (and local) chain stores and restaurats are sure to follow, just as they did in South Lake Union. But if thoughtful, locally owned restaurants are at the core of what's to come for the area, it's an awfully good way to start.